Keith Bunch, the owner/operator of Lake Bridgeport Guide Service, is Lake Bridgeport's only Professional Fishing Guide, with 17 years' experience leading trips for individuals and groups – and families, too - on beautiful Bridgeport Lake. Keith has fished Texas lakes and rivers since boyhood and spent the last 20 years fishing Bridgeport Lake. He is a waterfront resident, and active on the City Council. He is a conservationist as well, working to keep the lake and its environs pure and clean to make your trip the best it can be. 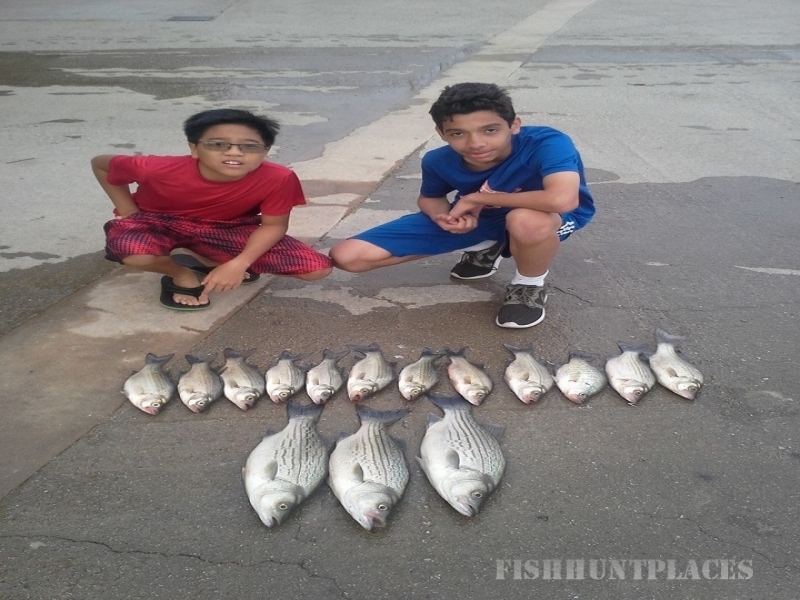 Lake Bridgeport Guide Service specializes in landing Hybrid Striped Bass with live bait and lures, and Sand Bass. 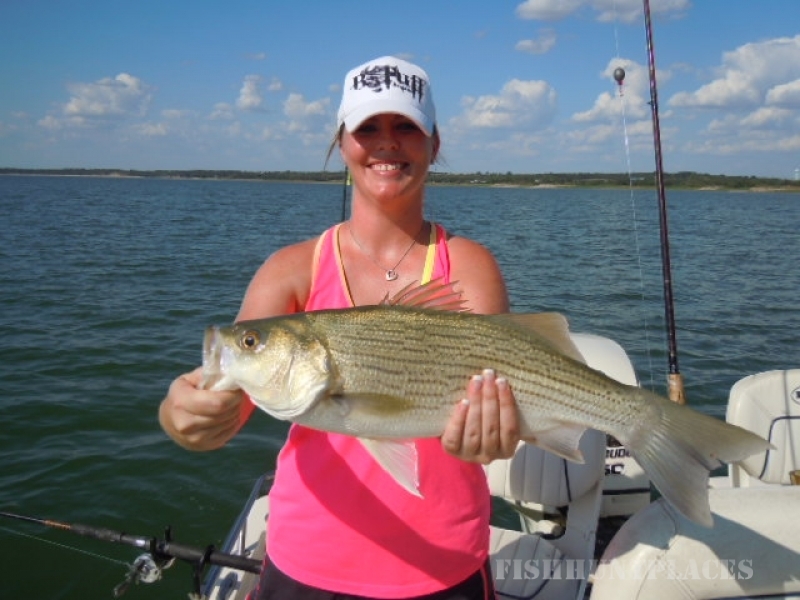 Lake Bridgeport Guide Service is licensed by the State of Texas and we are fully insured. We use state of the art electronics from Humminbird and the Minn Kota I-Pilot trolling motor system. Our 22 foot Key West Deep-V Center Console has a 250 horse power engine, shad tank, and comfortable seating. We provide a complete service, including all your fishing equipment, safety equipment, and bottled water. We even fillet and bag your catch, and take pictures for you! 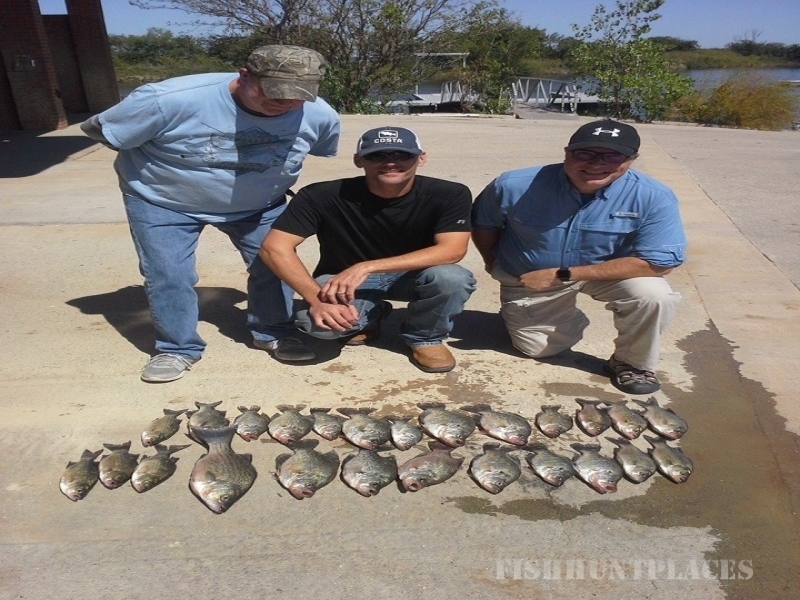 All you will need is a valid fishing license, snacks, and a cooler so you can take your catch home. We also recommend sunscreen, hats and sunglasses (for kids too!). We offer packages for private, family, and corporate groups, and can book trips for up to six people. Call us at 940-577-0363 to see which package meets your needs. Lake Bridgeport is off the beaten path, a quiet place for you and your family - or a group from your company - to relax, enjoy the sun and the lake breeze, and catch some fish. The lake is within an hour of Fort Worth and 90 minutes from Dallas. 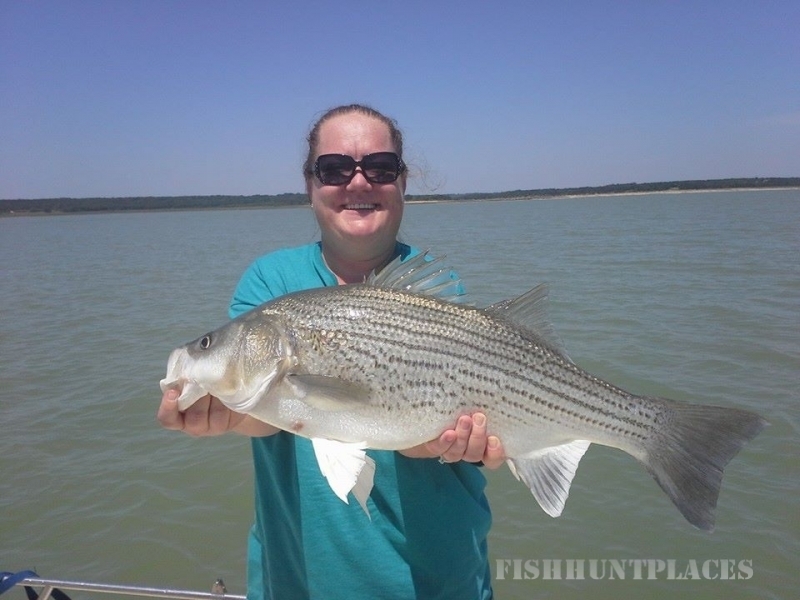 So come out on beautiful Bridgeport Lake and match your fishing rod against some hard fighting Hybrid Striped Bass and Sand Bass. We’ll see you soon!